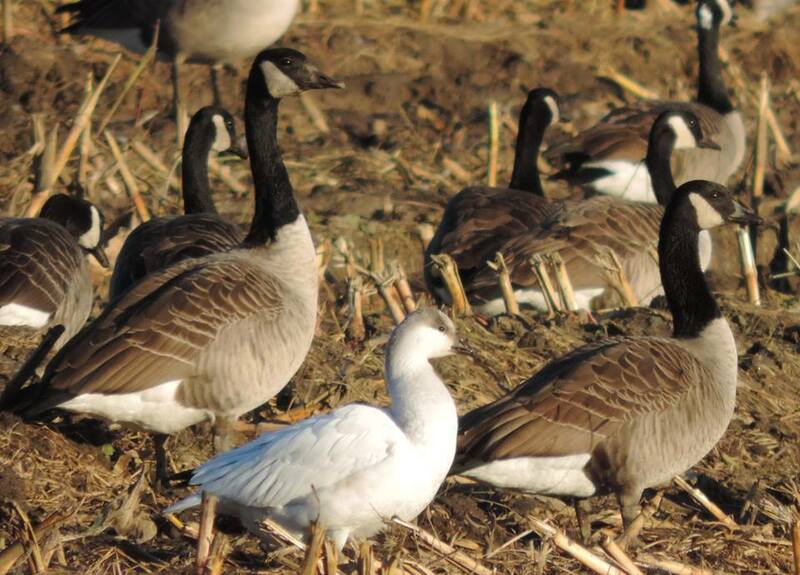 Once geese begin to arrive throughout agricultural areas, keep your eyes peeled for small, white ones! These gems are found among Canada Geese in the west (and southwest) and among Snow Geese in the east. Any white goose among Canada’s warrants close inspection. Ross’s will be quite a bit smaller-bodied than the adjacent Canada Geese. On Ross’s, the crown is high and rounded, and the bill is short and stubby. The cheeks bulge outward; these features, combined, give the bird a real “cute” look! If a Ross’s is within photographic range, consider taking pictures, especially of the head and bill. 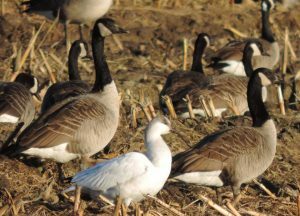 Ross’s Geese are increasing their population and expanding their geographic range, and this is bringing them into closer contact with Snow Geese, especially Lesser Snow Geese. 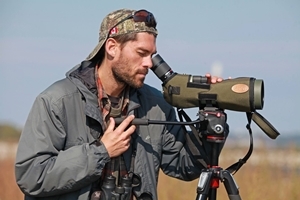 These two species are known to hybridize, and most birders are careful to check for mixed lineage, by reviewing head and bill detail on any Ross’s suspects. Photo: Note on the hybrids illustrated by Sibley the slight concave feather line to the base of the bill; the distinct arc to the upper mandible and the slight outward bulge to the lower, increasing the visible tomium (“grin”) to the bill. The upper mandible is chunkier and longer in hybrids, too. Note also the lower, more oval crown in the hybrid suspects. Photo: My lifer Ross’s Goose, photographed by holding my iPhone to my binoculars for a record shot!! Kinburn, ON. 11 April 2013. Photo: My second Ross’s of the year in 2013. I photographed this handsome juvenile on 20 October near Munster. Spring prediction: First Ross’s of the year will be reported late on Saturday, April 1st, southwest of Ottawa (near Richmond, or just south of).